Home sweet home owner tax write offs this April! Though most people dread the trip down to the CPA’s or tax preparer’s office, if you are a home owner, there could be some money coming your way. That’s because there are a number of house and home-related write offs for home owners to claim! Be sure to claim what’s rightfully your write off this tax season, by claiming these home-related tax deductions if they apply to you. Private Mortgage Insurance Deduction. Anyone who buys a house with less than 20 percent down has to pay private mortgage insurance. The ability to deduct PMI for mortgages taken out on primary residences after 2007 was extended one more year for homeowners who meet income limits. Energy Tax Credit. Homeowners who make energy-saving home improvements can get a tax credit of up to $500. This could include installing new windows around your home or getting a new roof, air conditioning system, furnace and more. Mortgage Interest. Homeowners who have a home loan qualify for the mortgage interest tax deduction. The interest paid on a home loan of less than $1 million is deductible, and these tax breaks don’t end with your first home, or first mortgage. Mortgage interest on a second home also is fully deductible, even if you rent it out for part of the year, and interest on your second mortgage and home equity line of credit are also deductible. New Home Loan or Refinance Credits. If you purchased a new home in 2014, or refinanced your home loan, there are credits for the points paid on the loan. You can also write off costs associated with moving costs. Property Taxes. A large write-off on your taxes is the property tax deduction which can be found on your escrow statements, annual mortgage statement, or on your settlement papers. Property tax is an itemized deduction on Schedule A. Home Office Deduction. More and more Bend residents are working from home, providing them opportunity to take the home office deduction. The business portion of the home must be used “regularly and exclusively” for business, and must be either a principal place of business or a separate unattached structure to qualify. There is also a simplified deduction option based on square footage which makes calculating the deduction a snap. Moving Expenses. If you moved to a new job location in the tax year that is 50 miles or more from their previous living situation, may qualify for a residential moving cost deduction. You may think you’ve covered them all, but with such complicated tax code, and so many itemized deductions to remember, it is not uncommon overlook a deduction you may qualify for. In addition to these eight common tax deductions for homeowners, don’t forget to include work-related moving expenses, landlord deductions (you can write off depreciation, property taxes, maintenance costs, and property management costs), and tax credits for energy appliance upgrades. 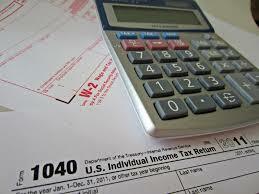 Happy tax season home-owners (at least for the ones with big write-offs! ).